Influencer Highlights - Advanced Nutrition Programme November 2016 | iiaa Ltd | The UK and Ireland distributor of Environ Skincare, jane iredale makeup and Advanced Nutrition Programme. "...I began trying them out and honestly they have made a massive difference to my skin. I've still been using my Environ products topically, but also the Skin Complete are basically topical skincare available in capsule form with all of the lovely ingredients that will leave your skin feeling amazing whilst working from the inside of your body. So you get double the Vitamin A which is just great, your skin will thank you, I promise... It feels brighter and so much more moisturised, and my eczema has cleared up on my neck, elbows and legs (and mostly cleared up on my hands)... By taking supplements that contain Vitamin A, and using skincare that contains Vitamin A, it is the most powerful way to reap the benefits of Vitamin A, and improve your skin and keep it healthy and make the most out of the Feed, Fortify, Finish philosophy." 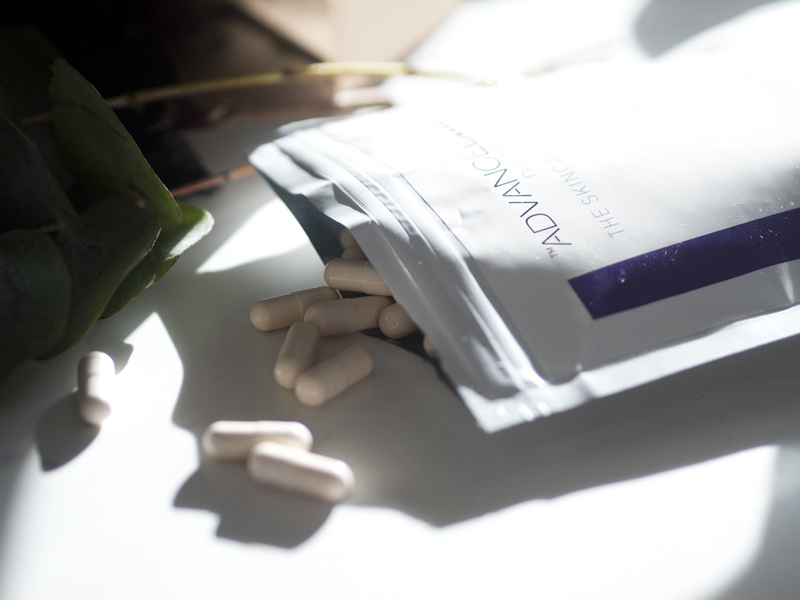 "...First I'm going to show you the supplements that I take... I take Skin Antioxidants... it's really good for plumping up your skin, increasing that elasticity... I also take Vitamin A... this is for maintenance for healthy normal skin... I also take Skin Omegas... It will contribute to the healthy glowing skin... great for nails, hair, great overall supplement..."
"...It's time for an update on the #100dayreset I've been doing with the iiaa. To recap quickly, I've ditched my rubbish old skincare routine for 100 days in favour of using a three-pronged approach with daily ANP Supplements, Environ skincare, and jane iredale mineral makeup... So this process has been as much about educating about the science behind good skin as well as actually using powerful products... And I have to say I'm far more impressed than I could ever have imagined I would be. After sticking to it, my skin began to get clearer and less congested, and by the end of the first 30 days I had colleagues complimenting my how flawless and clear my skin was looking and asking me the deets of my newly implemented skincare regimen..."
"...So this is my video on Day 30 for my 100 day reset challenge. For anyone who isn't quite sure what this is I've been doing this 100 day reset challenge to sort my skin out and with the iiaa and they are this awesome company which look after three major brands. 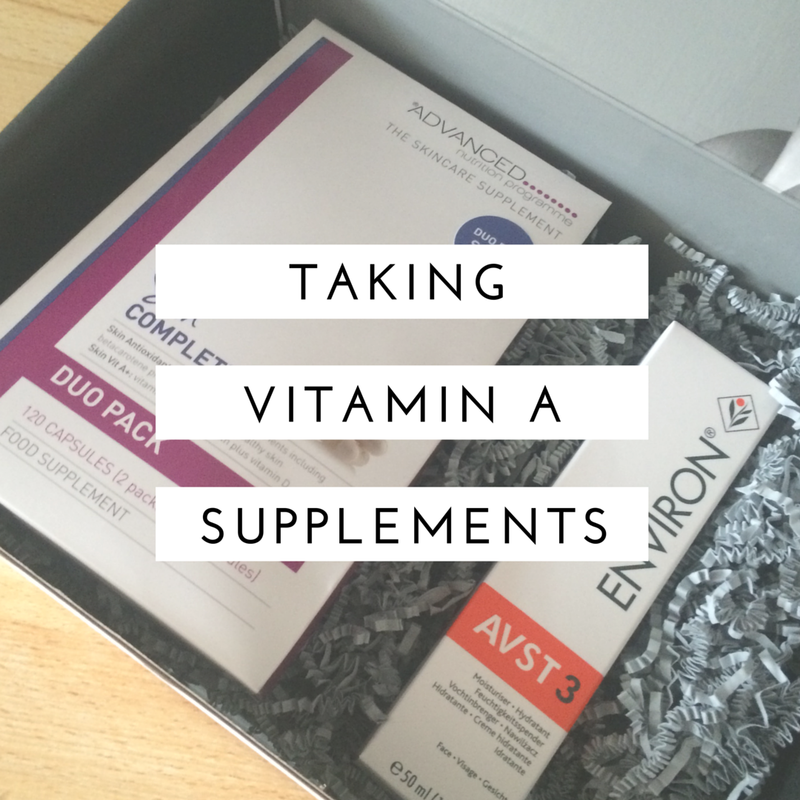 So you've got ANP, The Advanced Nutrition Programme and they are these amazing skincare supplements... I'm using their products and following their regimes for 100 days to see if I can improve the health of my skin. I've been taking my Accumax supplements 4 of them every single day... I kept at it and started to see a massive improvement... I've had people at work say to me, your skin looks really good at the minute, and I was like yes this is amazing this means it's working... I had another skin analysis at the Skin 3 Salon... and I was completely blown away... But to see the actual results then and there and to see what's happening on the under layers of my skin that was really great... So fingers crossed it's going to go really well..."
"...I take Skin Complete... We've had such amazing results. It's all about the quality of the ingredients, and the amount of the vitamins that are in there. I've been speaking to doctors at the hospital about what I've been taking, and they absolutely agree that they have been helping with my recovery... and its's been helping with my hair growth. The other one I recommend is Skin Vitality 1. This is all The Advanced Nutrition Programme... To get this amount of particularly Vitamin A, Vitamin E, Vitamin C that's going to help renew and help you feel wonderful..."